Hornby have today announced their 2014 range and included within it are a number of new items of interest to Southern modellers with the headline being the introduction of a Drummond 700 class 0-6-0 and 2 HAL EMU to the range. Below I summarise the releases of interest to Southern / BR(s) modellers. The Drummond 700 Class 0-6-0 locomotives were built in 1897 and comprised of 30 Locomotives They were subsequently rebuilt by initially by Urie with superheaters between 1920 and 1927. Seen mainly on the ex London South Western Lines working from sheds such as Nine Elms, Guildford, Salisbury, Feltham and Exmouth Junction. They were a long lived class with the last one not being withdrawn from service until 1964. The 2 HAL EMU follows on from the release last year of the 2 BIL which proved very popular and is reflected by a number of new versions being also released in 2014. Introduced in 1939 and only having one lavatory in one of the coaches rather than 1 in each were designated ‘2 HAL’ as Half A Lavatory unlike ‘2 BIL’ Bi Lavatory! Although designated as main line semi fast stock the 2 HAL’s were somewhat utilitarian compared to the 2 BIL and 4 LAV uits that preceded them, with thinly padded bench style seats rather than deep cushioned seats. Eventually totalling 92 units the 2 HAL’s were the largest type of SR main line semi fast EMU built and lasted in service until 1971. The collectors club models have a bit of a Southern theme in 2014 with the Terrier appearing as R3247 in LBSCR livery as No. 650 “Whitechapel” and R3248 in Kent and East Sussex livery as “Sutton”. Continuing the Southern theme R3249 is Battle of Britain Class 4-6-2 No. 34070 “Manston” in BR Brunswick early crest livery. Following the announcement last year of new tooling for the BR Mk1 coaches in the Railroad range that are just hitting the shops now, 2014 sees the release of BR(s) versions in a higher specification range with metal wheels and working interior lights (the Railroad range will still contain the original specification style). Three BR(s) Green livery coach types will be available in the form of a Composite, Corridor 3rd and Brake third variants. It is not just the Southern Modellers that benefit from new tooled models as also announced are GE/LNER J15 0-6-0, LNER D16/3 4-4-0 and BR(E) K 2-6-0 classes. The Railroad range also sees new tooling in the shape of the Franco-Crosti 9F 2-10-0. Additional new tooling for coaches announced includes BR MK2 E coaches in 3 variants, although these will use the same tooling techniques as the MK1 coaches they will be in the main range and will include versions with interior lights. The wagon range is further extended with new tooling in the shape of LNER/BR Extra Long CCT vans as both LNER and BR variants. There will also be further developments with their DCC Railmaster / e-link and a new low cost sound system ‘Digital Twin Track Sound’. I am sure many people will be asking why Hornby are announcing new models when they have had supply chain issues over the last few years that has both delayed and prevented previously announced models from hitting the shelves. 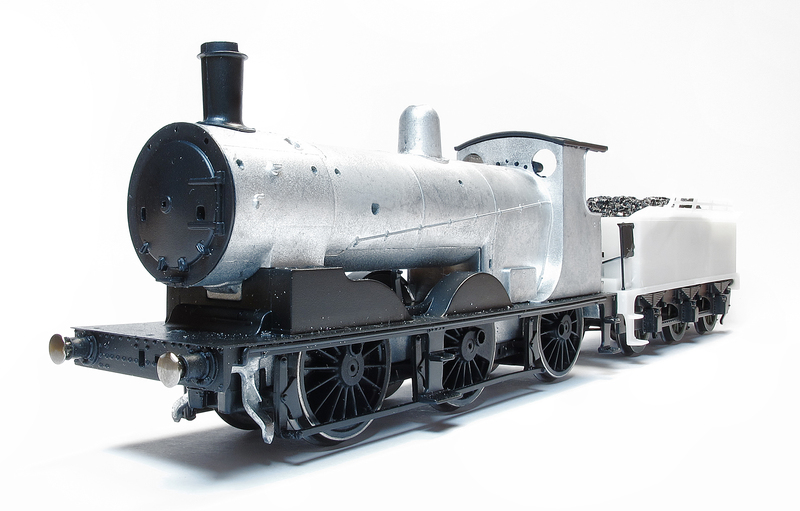 Hornby have put in place a number of new staff and suppliers to overcome these issues. It is from these new suppliers that these new models will be coming from and therefore are separate to the issues experienced and in some cases still being experienced with previous factory arrangements. This can be seen by the advanced nature of the Engineering Prototypes illustrated here. I believe we all look forward to all the supply issues being resolved as it just not just affects Hornby but manufacturers across the hobby as a whole and we all want to benefit from a robust, value for money and competitive market place. 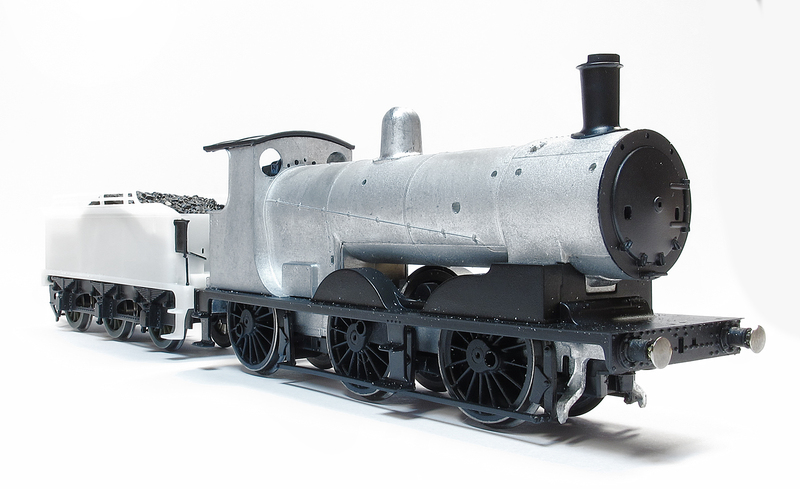 The full range announcement can be found on the Hornby Website here or on the RMweb forum here. on December 16, 2013 at 10:10 am | Reply Barry Harding. Brilliant news about the Drummond 700. I should be able to pension off my white metal kit version! So when can I do the same with my 0395 Class!? Disappointed again. I suppose an S15 or air-smoothed MN would be asking too much. I am surprised that there is no Maunsell restaurant coach. On further reading I might be tempted in a 700 as it was an ex-LSWR region engine, but only if one is made available in weathered late BR steam era. Although I welcome the Black Motor, I feel I have been mugged by the NE fraternity (again). I can not see the Mk1 coaches selling at £36 in any numbers. S15, original Merchant Navy, some gaps in the Maunsell coach range, Bulleid coaches still missing, so much opportunity. With respect to the original style MN it is not a case of if but when it will be announced. 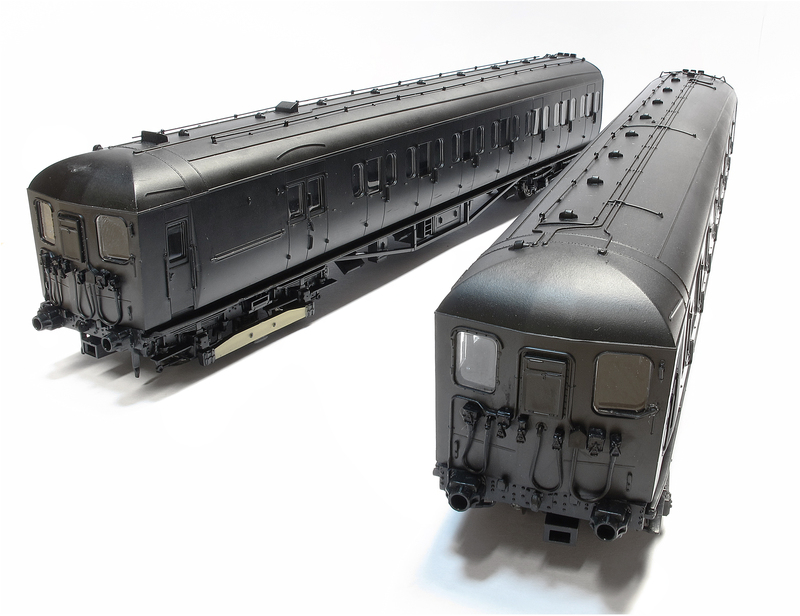 Upgraded Bulleid coaches from Bachmann are indeed a possibility but I am sure they would only be the BR 15″ vent versions. We can’t expect everything to be announced in one go can we? 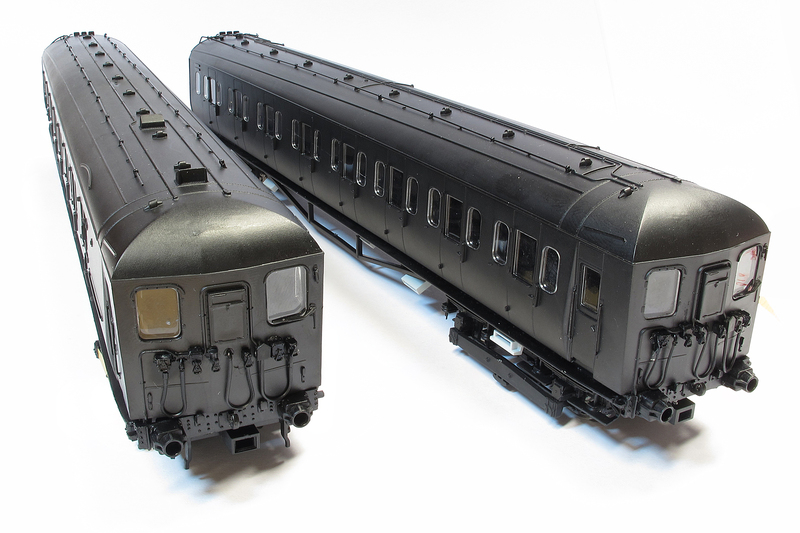 With regard to Bulleid coaches, if the construction was the same as the Bachmann Mk1, the windows can be fitted separately so 10 and 15″ ventilators could be accomodated. Correct me if I am wrong but I don’t think there is any other difference between the two apart from livery when new. The BCKs would only be applicable to the 10″ variant though. Graham – I note there is also a ‘new’ version of the T9 R3107 which ‘fills the hole’ as it is 30313 in late BR livery, being a wide-cab loco with 6 wheel tender, most of this final series having been fitted with ex-700 tenders in early SR days. Do you by any chance know whether the tender for the new 700 model will have 13′ frames?!! (filling the other ‘hole’). I do not at this stage know about which wheel base the proposed 700 tender will have but I will see if I can find out and advise in due course. I am modelling the Swanage Railway and I am very pleased with the new announcements. The 700 fills the last main gap in the range for me as it was used on the daily goods from Hamworthy and also for shunting passenger trains at Swanage. Manston is on regular service on the preserved railway. The BR SR coaches will be very useful. Hornby will probably produce them in the correct livery and will give Bachmann a run for their money. Although Swanage is not connected to the third rail it will not prevent me from buying and running some 2 HALs. I hope the Maunsell Pull-Push sets will appear soon. It may be like waiting for a bus. One full bus, a two year wait and then three appear at once. Pleased with the 700 and the 2-HAL to a lesser degree (I prefer the 2-BILs). If you’re modelling the SR one has to accept that an awful lot of it was electric by 1939, so expansion of the range of Southern Electrics is sensible and welcome. Welcome news is the green Mk1s with interior lighting, I can see a few sets coming here. One big omission is the Maunsell high window stock in SR lined dark green. R4506 – 12 (I think) were promulgated in 2011, three years later still nothing. I question the ‘2 BIL which proved very popular’ – not that popular I would argue, as all versions have been available on a certain auction/shopping site since their release. That said, I think the BR blue example will go down well. Put me in for a third SR example though (R3161B). The continuing wait for the original MN is unforgiveable, it is now fourteen years since they released the rebuilt version in 1999. A few points re the forthcoming Hornby 700 class. 1. But 30345 was not a 700; it was a K10 4-4-0 though it did not survive long enough to actually carry its BR number. Presumably this is a typo for 30346 which was a 700. 2. 700s were built with Drummond 6 wheel 13 ft wheelbase tenders and Hornby’s existing Drummond 6 wheeler has the 13 ft wb. However 2/3 of the class had 14 ft wb tenders substituted in 1925/26 in a series of tender swaps with other classes. 30346 (if that is the intention) and 30694 did retain the 13 ft version so the models will have the correct tender. 325, however, was one of the locos which got a 14 ft so, if one is fussy, 326 would be a better choice as it kept the 13 ft wb tender. 3. They were officially withdrawn from capital stock by December 1962. However several worked snow plough duties into Jan/Feb 1963. 30700 may have been the last one steamed – on 31 Dec 1963 – when it was used to tow S15 30842 to Eastleigh Works. Thanks for the informative, as always, summary / pointers, I will speak with Hornby about these points and advise in due course if I obtain any further information.